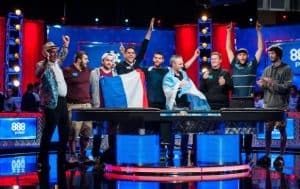 Day 7 of the World Series of Poker pits the remaining 27 players against each other in high stakes action packed matchup. The player pool started in the thousands but has dwindled significantly in the 6 days of the tournament so far. 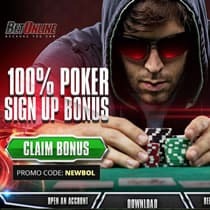 The world famous tournament is often fed some of its players through online poker qualifiers, and a significant number of the participants have at least practiced by playing poker online. Christian Pham heads into the day in first place, with Valentin Messina and Jack Sinclair trailing behind. Pham is an intriguing player who burst onto the scene with an accidental victory back in 2015. He mistakenly registered for a 2-7 Single Draw event. Pham learned the game before the start of the tournament and successfully beat out 219 other players to win $1,500 in cash and a World Series Of Poker Tournament bracelet. This type of adaptability and coolness under pressure has established Pham as a legitimate player, though his presence atop the current leaderboard is surprising given he has been participating in smaller Rio Daily Deepstack evets for most of the year. He has accumulated a chip value to the tune of $31 million, which should be enough to grant him a seat at the final table unless he botches Day 7 play. As with any sporting event, there is the underdog/redemption narrative. This materializes in the form of Ben Lamb, who currently sits in fourth place. Lamb was awarded 2011’s WSOP Player of the Year and finished third in the Main Event. Lamb recently told PokerNews that he doesn’t care about the status that comes with making the final table and that he just wants to win the “whole damn thing.” His experience at the final table will aid him in his quest for redemption, as well as his current chip count. Day 7 features Christian Pham ($31,440,000), Valentin Messina ($28,590,000), Jack Sinclair ($27,535,000), Ben Lamb ($25,685,000), Pedro Oliveira ($22,540,000), John Hesp ($20,880,000), Randy Pisane ($18,370,000), Scott Blumstein ($18,125,000), Richard Dubini ($14,975,000) and Bryan Piccioli ($14,500,000) in the top 10 positions. Messina is the only player in this list to have final table experience. Just because you are not in the top 10 doesn’t take away from your chances from sitting at the final table. Antoine Saout is a testament of this. Saout took third place in the 2009 Main Event and 25th in the 2016 WSOP. While his experiences play a factor, he has a hill to climb as he currently sits at 15th place. Benjamin Pollack (17th), Alexandre Reard (18th) and Michael Ruane (16th) also have some final table experience, with Ruane having the most recent as last year’s fourth place finisher. The 2017 WSOP Main Event has already provided some exciting action. Pham’s sitting could make for a fascinating storyline, but as past tournaments have shown, the top 27 players can shift within a day given the game action. There are 26 other players looking to move up in the rankings before the WSOP final table action begins. With a cash prize and WSOP bracelet on the line, there is plenty to fight for.